To my knowledge, neither of us are directly Irish, but its fun to decorate for St. Patrick's Day. 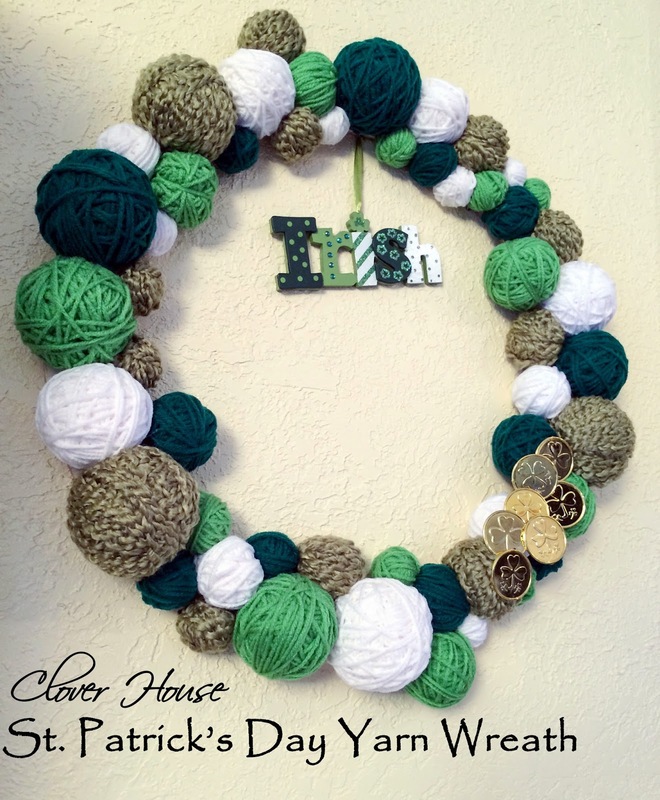 I love to decorate for every occasion.....so, I really wanted to make one of these yarn ball wreaths when I saw this one. So pretty Heather! This is how mine turned out. It was fun wrapping the yarn balls. I just sat and watched TV while I wrapped away. It is however, a bit challenging with 3 cats "helping" me! Ha! 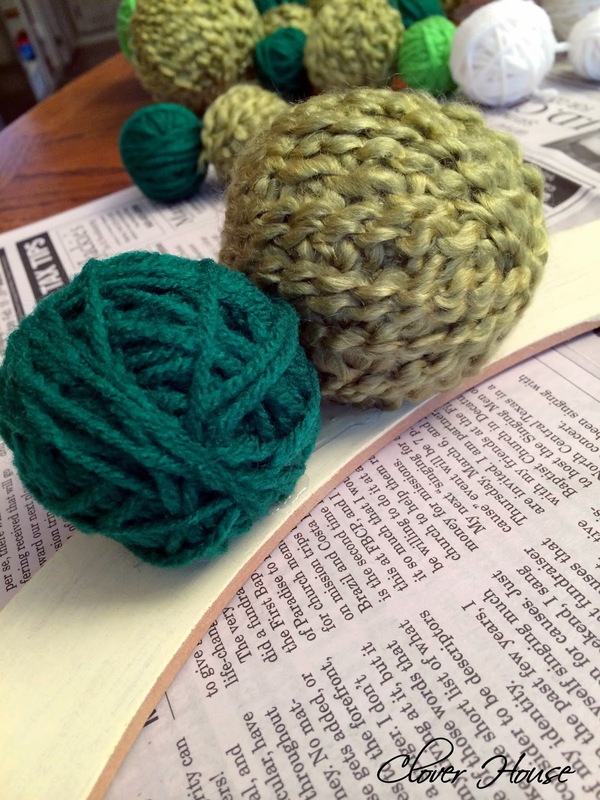 I didn't use styrofoam balls for my bases, I just wrapped regular old fashioned yarn balls. LOTS of them in all sizes. 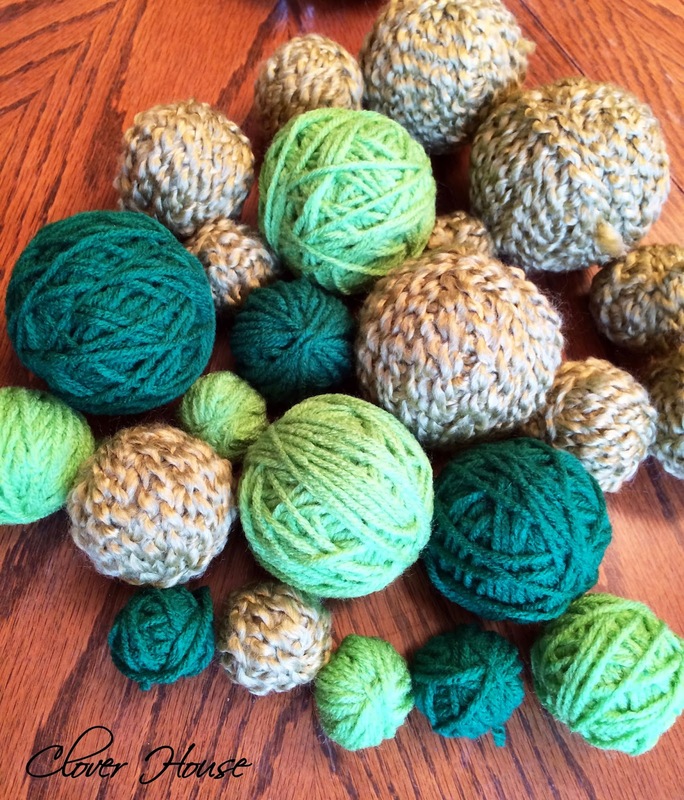 I used 3 shades of green and white yarn to make my yarn balls. I used almost the entire large skein of yarn for each color. This is an 18" heavy cardboard wreath form that I used for my pinwheel wreath HERE. It didn't hold up to the Texas sun and faded really bad so I took it apart and used the form again. Here I started laying down some of my larger yarn balls to get an idea of where they needed to go. 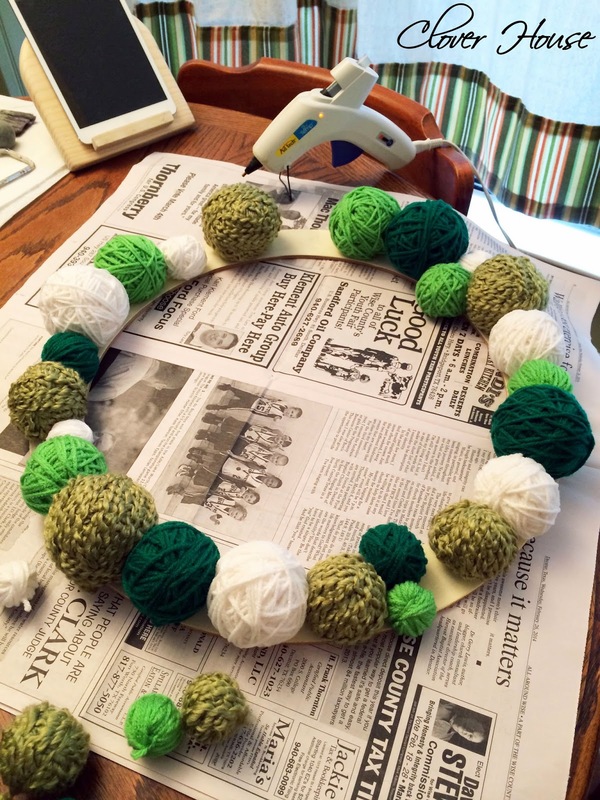 I used my hot glue gun to attach the balls to the wreath form. I glued them really close together so hopefully you couldn't see the wreath form under them. 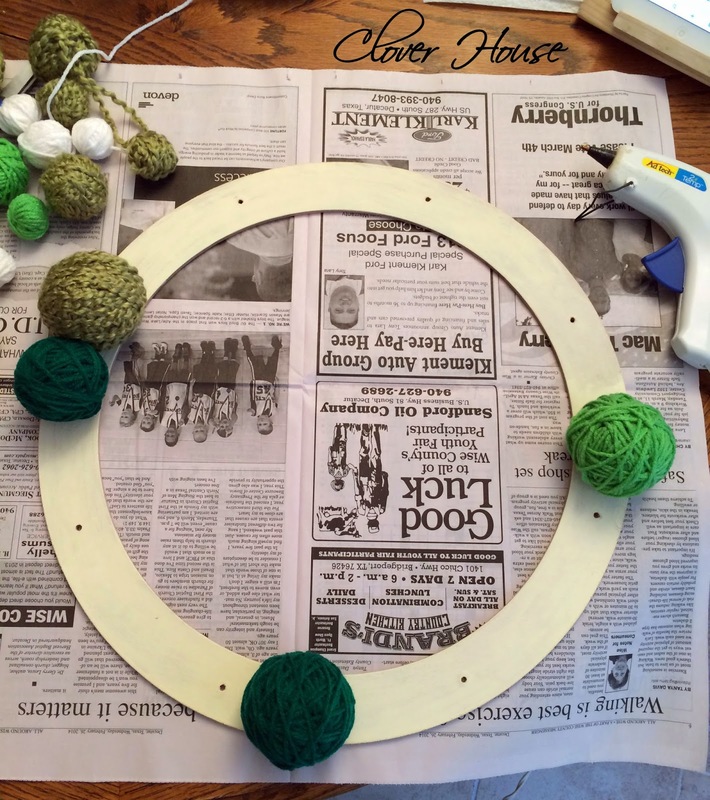 Keep placing and gluing until you like the way the wreath looks. When I got to the end of my supply of yarn balls, I did have to make a few more of certain sizes and color to fill in blank spots. Next, I added 7 golden (plastic) coins for good luck. I found these at Hobby Lobby. Just attach them with hot glue. I glued 3 of them together first, then added them to the wreath. The little "Irish" sign is from Hobby Lobby too, but I've had that for a few years so I'm not sure if you can still find them or not. These are easy and fun to make, if you haven't tried one, you should! Especially if you have lots of yarn just hanging around! Depending on the colors of yarn you have, you could make one for any occasion. 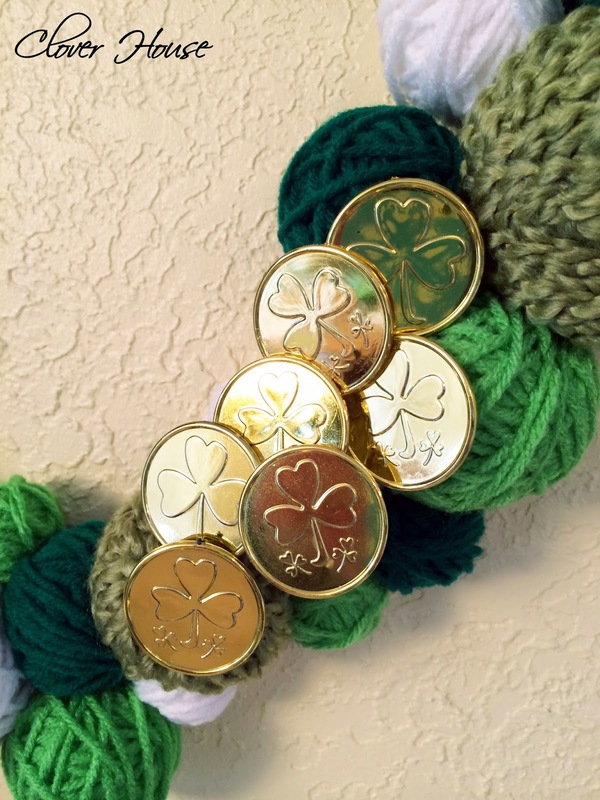 Want to see more Shamrock Crafts? Click links below. I love this wreath! I'm pinning it so I will remember where I saw it. 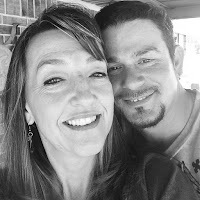 Thanks for sharing on the Clever Chicks Blog Hop. 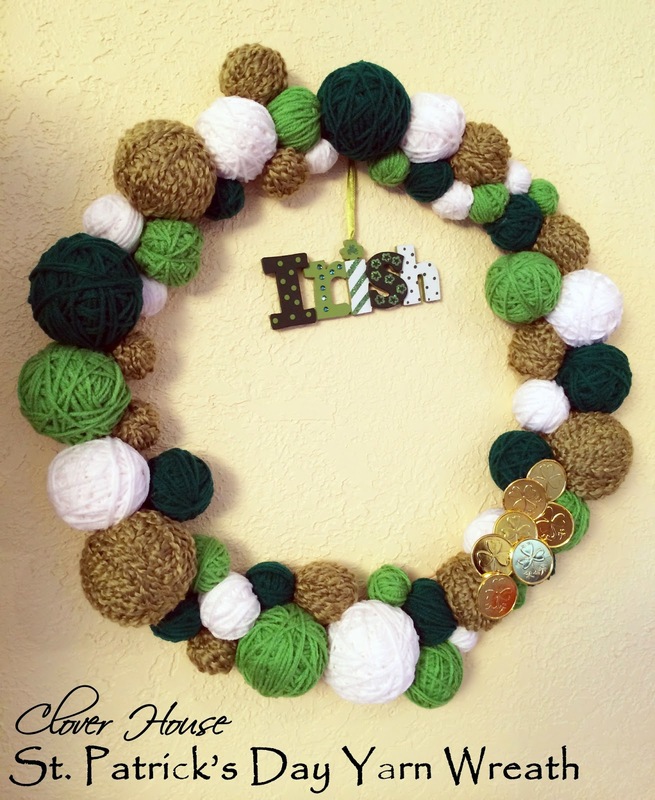 We love the idea of using yarn for the wreath in all the different St. Patrick's Day colors - Irish sign is so cute too! Thanks for sharing on #simplybebetsy! 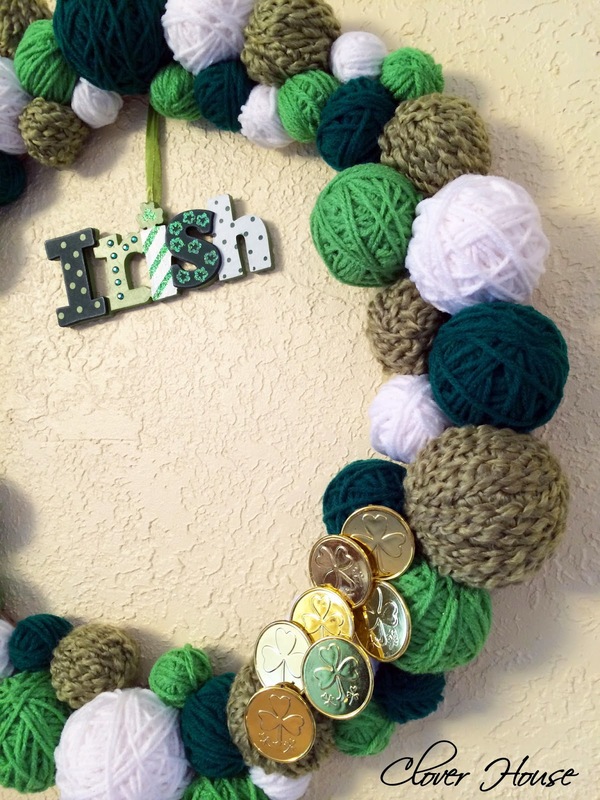 This is such a great wreath! Visiting from Fluster Buster's party. Thanks so much for sharing and pinning - have a happy week! So cute! Visiting from the Artsy Corner! Adorable! I love the added gold coins, too. I looked everywhere for gold coins this year, but I guess I was too late and they were wiped off the shelves. Who knew? Anyway, enjoy your fun wreath. Happy weekend!